Laser technology has advanced so much that it is now used in a plethora of applications in various industries. In the medical field, patients who opt for treatments involving lasers are guaranteed to experience less pain, have smaller incisions, and enjoy a faster recovery time. Laser hair removal, for instance, allows women to get rid of unwanted hair throughout their body without the hassle and discomfort of traditional hair removal methods such as shaving or plucking. Laser hair removal involves a series of treatments that can be spread out over a particular time period that is most convenient for the patient. After a number of laser treatments, long-term hair removal can be achieved and you’ll no longer have to take out your tweezers, wax, or depilatory creams. When you get laser hair removal in Utah, you can enjoy visiting any beach or pool in the Beehive State this summer without worrying about any nasty hair peeking out of your swimsuit or little floral dress. If you want to know if you’re a candidate for the procedure, visit your dermatologist to have your skin assessed, and discuss potential treatments. Leading dermatology offices in Utah like Stone Dermatology may also provide you with skin care treatments that can go with your laser hair removal sessions to make your skin flawless and glowing. 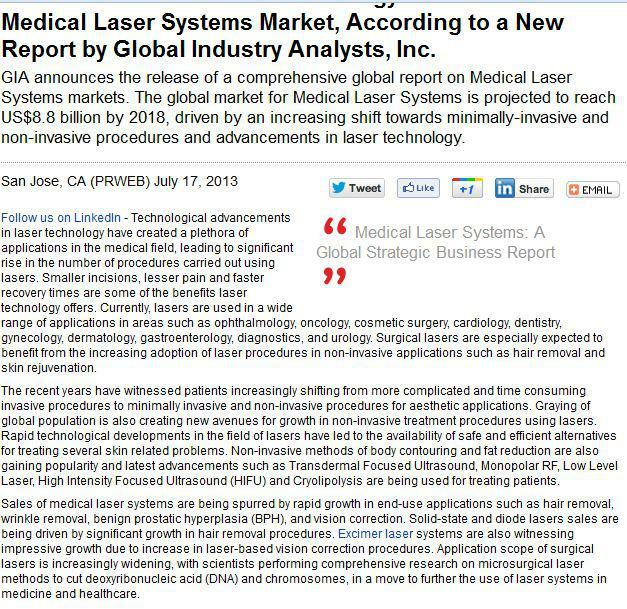 In fact, current sales of medical laser devices are spurred by aesthetic applications such as hair removal, wrinkle reduction, and body contouring. The simplicity of using laser technology, and its relative safety compared to other alternatives, are the main reasons why global market researchers foresee a multibillion-dollar future for laser systems. For now, whether you want to look or feel better, you can surely benefit from the latest, state-of-the-art medical lasers. Just remember to trust only legitimate laser treatment providers and do adequate research on the procedure before subjecting yourself to it. For effective laser hair removal in Provo or anywhere else in Utah, you will likely need three to eight sessions scheduled four to six weeks apart, depending on your hair’s texture and thickness. It will take around two to four weeks after a treatment before you can observe noticeable hair reduction. To facilitate recovery and prevent skin darkening due to sun exposure, use sunscreen on the affected areas after each session and throughout the course of the treatment. Thanks to advancements in medical laser technology, you can now get rid of unwanted hair easily and flaunt silky smooth skin without the ugly stubble or stray strands. Be sure to check with a certified dermatologist before getting the treatment, so you can steer clear of any side effects that may get in the way of your achieving your goal of having flawless skin.